Doctor Thyroid is the information I wanted when diagnosed with thyroid cancer, and during the setbacks that resulted from surgery. In 2013 I received a thyroidectomy. The result was remnant cancer left behind, a paralyzed vocal cord, and parathyroid damage – resulting in lifelong dependence on calcium and vitamin D.
When told the ‘c’ word, it resulted in anxiety and a desperate hunt for patient information that was easy to understand; my hunt came up empty-handed. Many existing thyroid cancer resources fail the patient. Now, I am the podcast host at Doctor Thyroid. I interview the world’s best thyroid doctors. I am a patient advocate and promote transparent thyroid cancer information that is not bound by third-party interests. 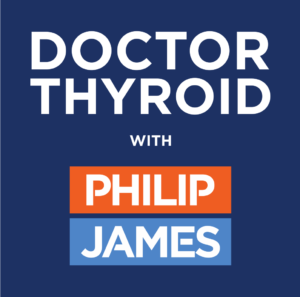 When you listen to the Doctor Thyroid podcasts, its the information I wished for back in 2013. Would you like to hear from a particular thyroid doctor or expert? Or, maybe you have a related inquiry?